Little Mavericks Learning Center | Colorado Mesa Univ. 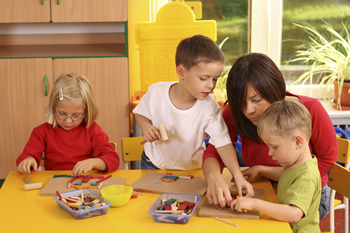 The Little Mavericks Learning Center provides a service to Colorado Mesa University students, faculty and staff, by providing quality child care with a balanced curriculum geared to the age and developmental level of the children while providing a practicum lab opportunity for students at Colorado Mesa University. 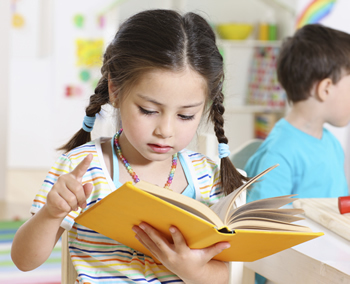 At Little Mavericks Learning Center, we understand that children who come to our program are individuals with different learning styles and various levels of development. Little Mavs provides experiences that enrich each child's cognitive, social, emotional, physical and creative development through play-based activities. Each child has the opportunity to create and explore their environment and learn problem solving skills while developing personal interaction skills. These all help build a foundation for future academics.Parents are always invited to become involved in their child's activities at Little Mavs. Moms and Dads are encouraged to participate in classroom activities and come along on field trips. Lesson plans are posted so parents can provide positive support for new experiences at home. Monthly sessions are offered for parents to learn more about child development issues and share ideas and information with other parents. Parents can feel confident that their children are receiving quality care while they are attending class or working. A professional educator is working daily with the children to monitor academic and developmental progress, as a partner with the parents, in meeting a child's individual needs and interests. Click here for exciting news regarding our Summer/Fall/School Age program, as well as infant care! Process for enrolling for Summer term. Applications need to be submitted by April 12, 2019. Once accepted into our program an enrollment link will be sent to your email. Process for enrolling for Fall term. Applications need to be submitted by April 12, 2019. Little Mavs is located at 1704 N. 8th St.